Kyla García is a BFA graduate of Rutgers University. Additional training: UCB, Groundlings. TV/Film: Cable Girls (Netflix), Marvel Agents of SHIELD (ABC), Shotgun Wedding (Netflix). 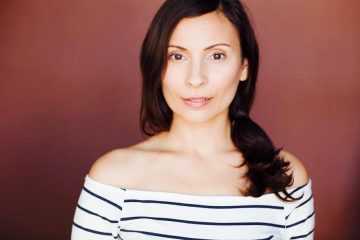 Select Stage credits include: the World Premiere of Fairly Traceable (Native Voices at the Autry), Alice Chan (La Jolla Playhouse Pop Tour), Antigone (A Noise Within), Stiles and Drewe’s Three Little Pigs (Lewis Family Playhouse), and Se Llama Cristina (The Theatre @ Boston Court). Favorite storytelling moments include: narrating over sixty audiobooks and creating her own acclaimed one-woman show The Mermaid Who Learned How to Fly.